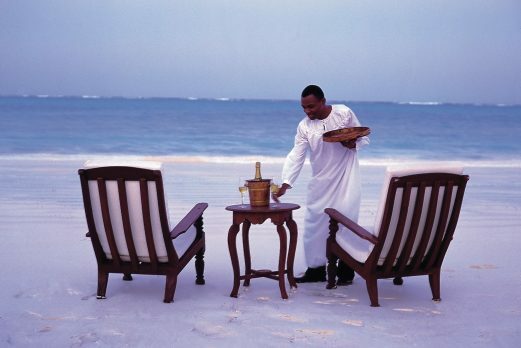 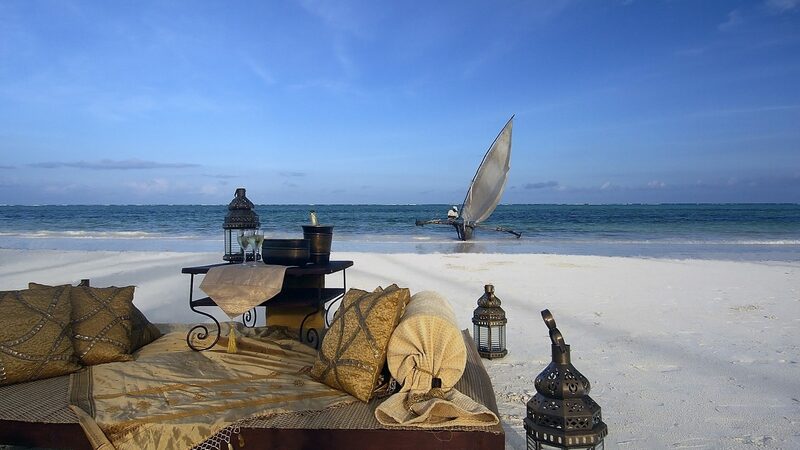 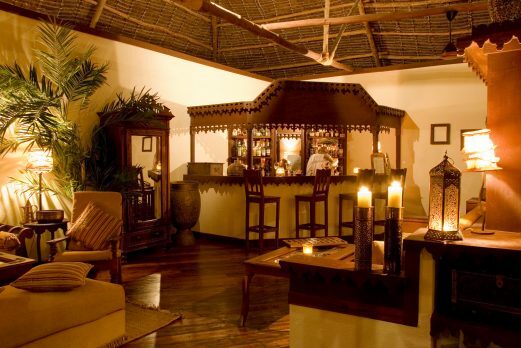 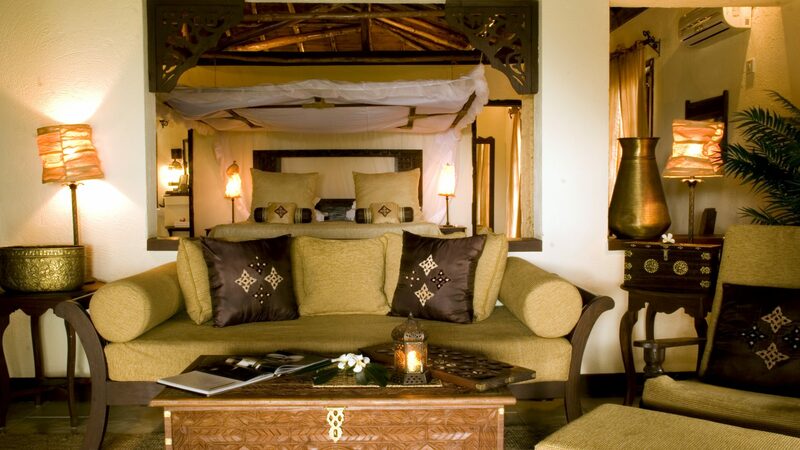 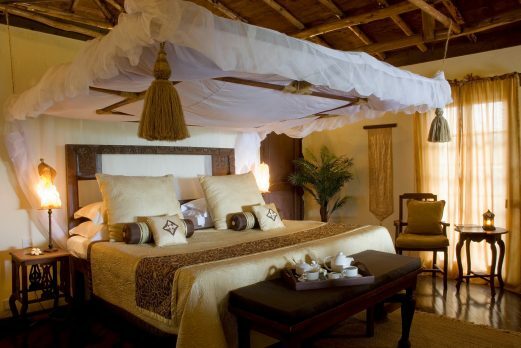 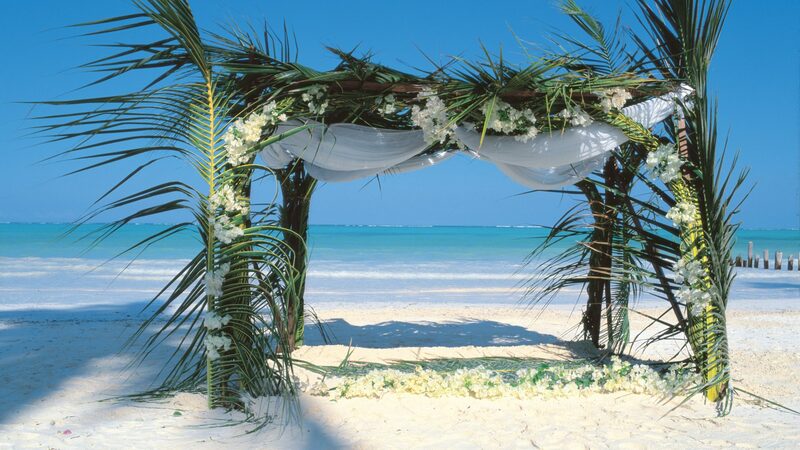 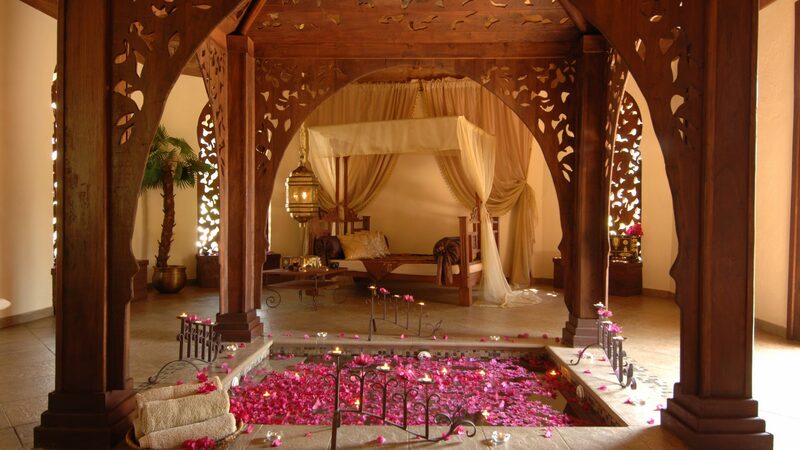 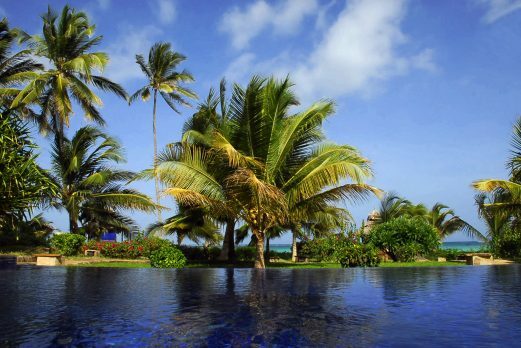 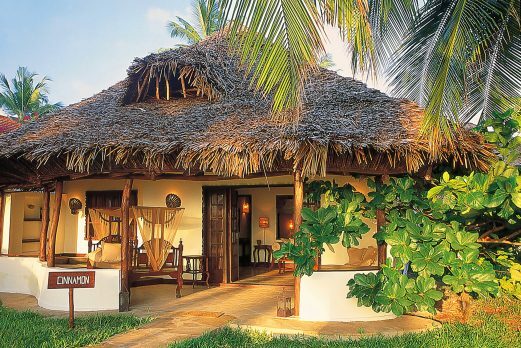 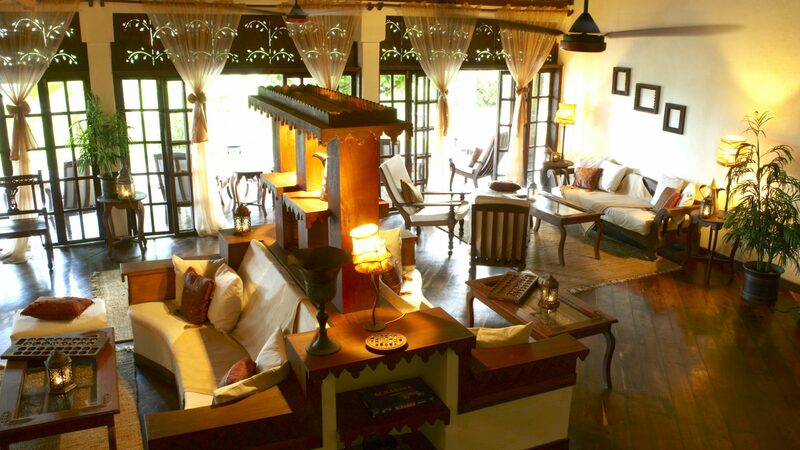 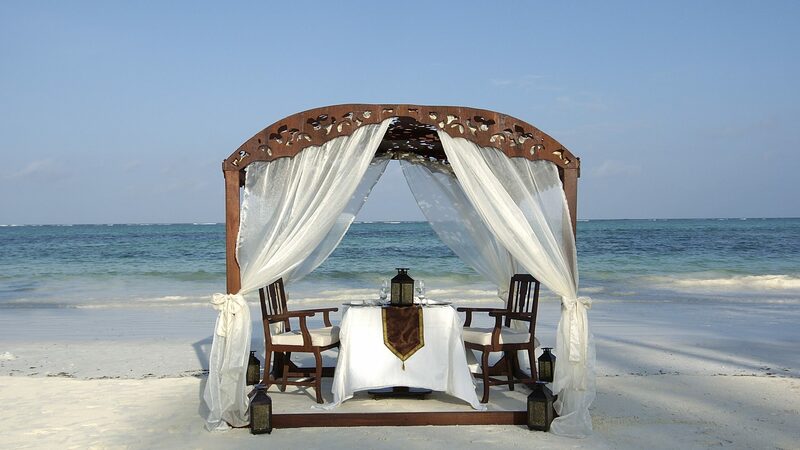 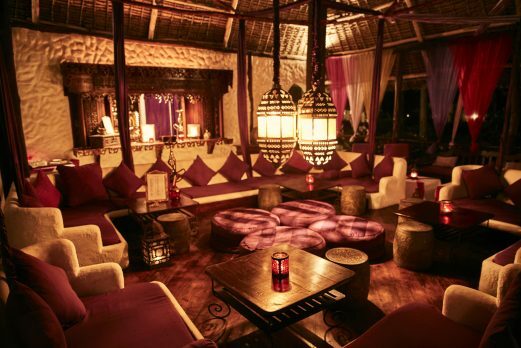 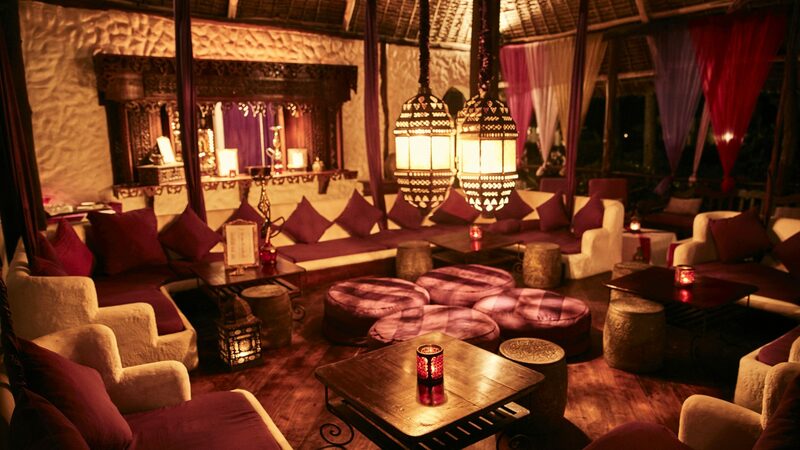 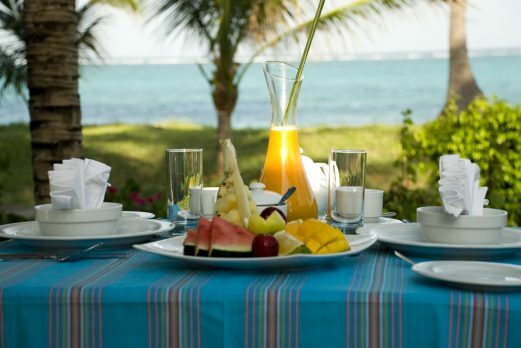 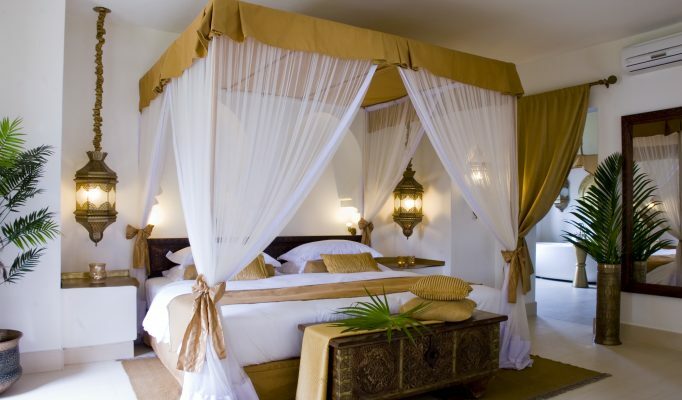 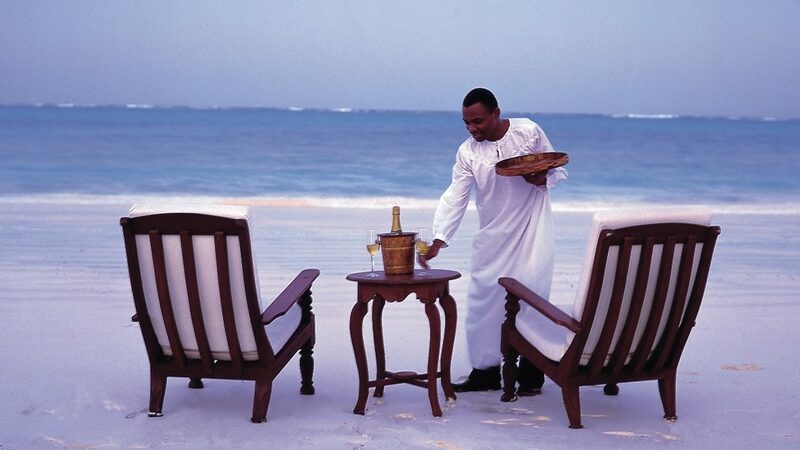 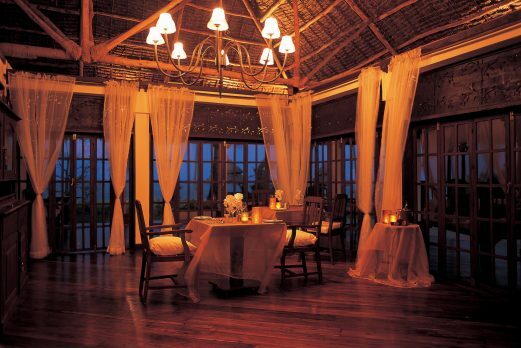 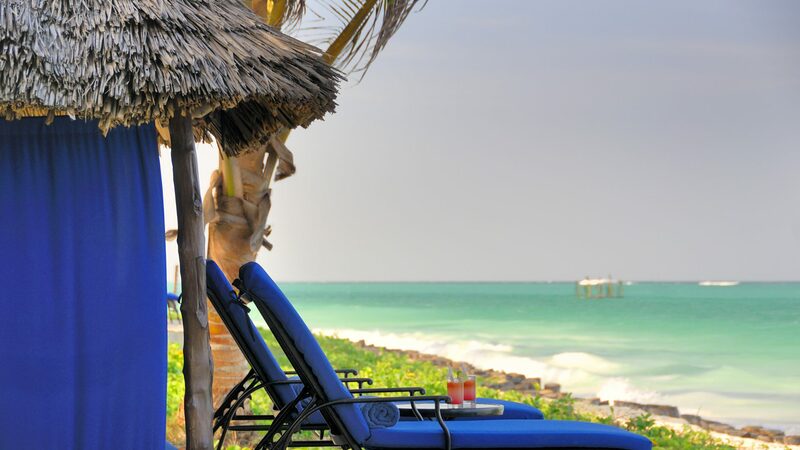 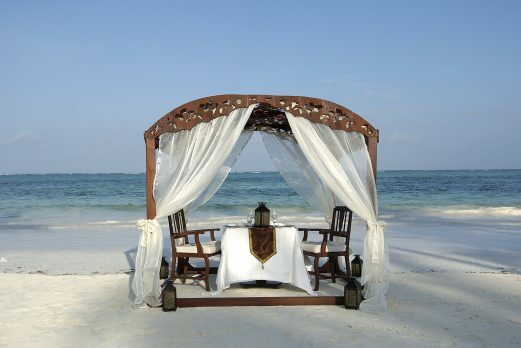 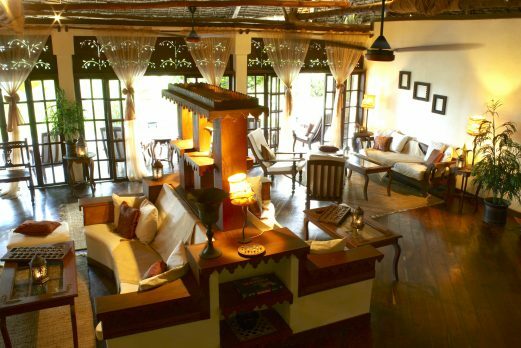 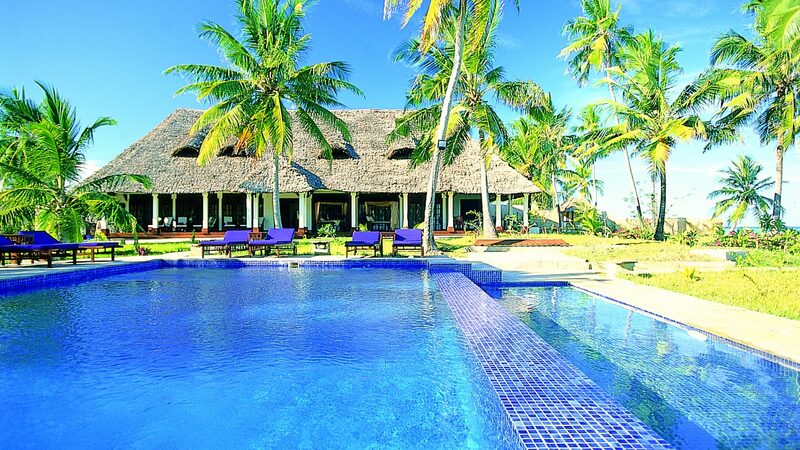 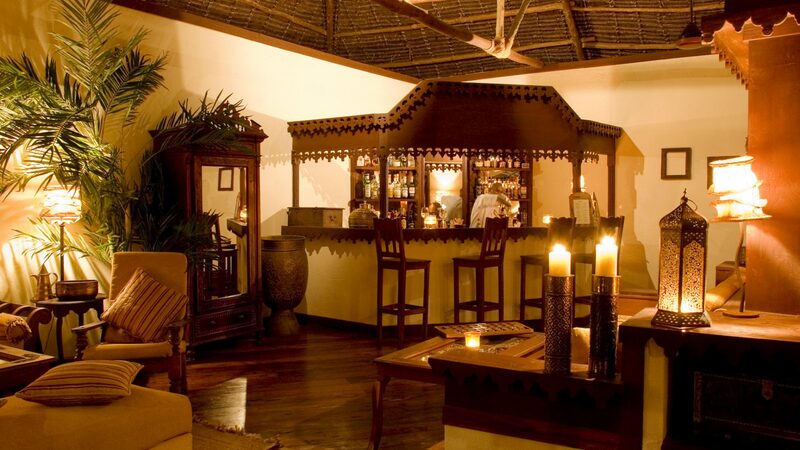 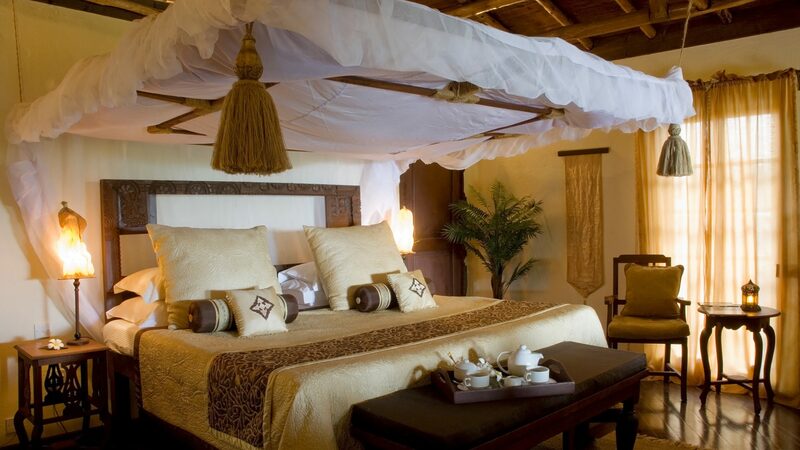 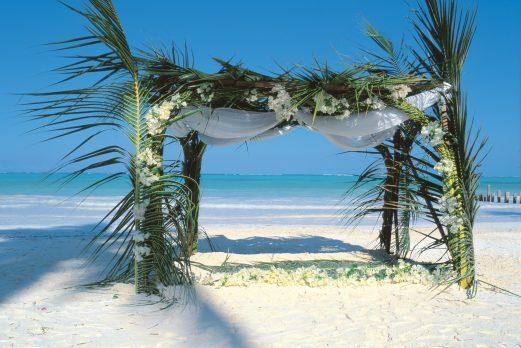 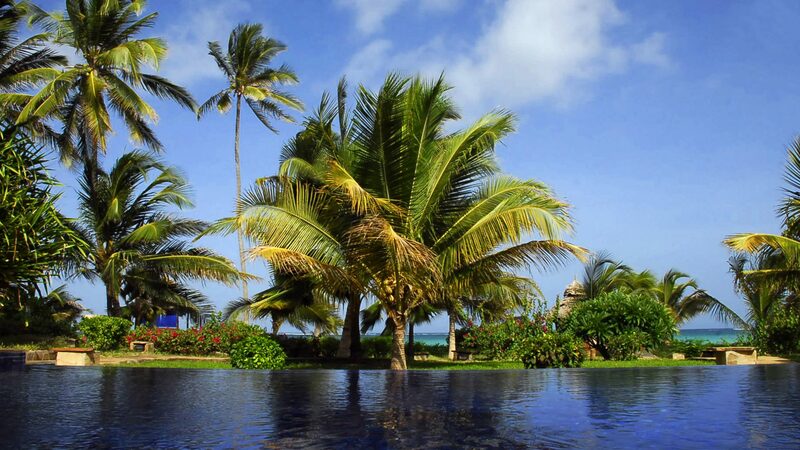 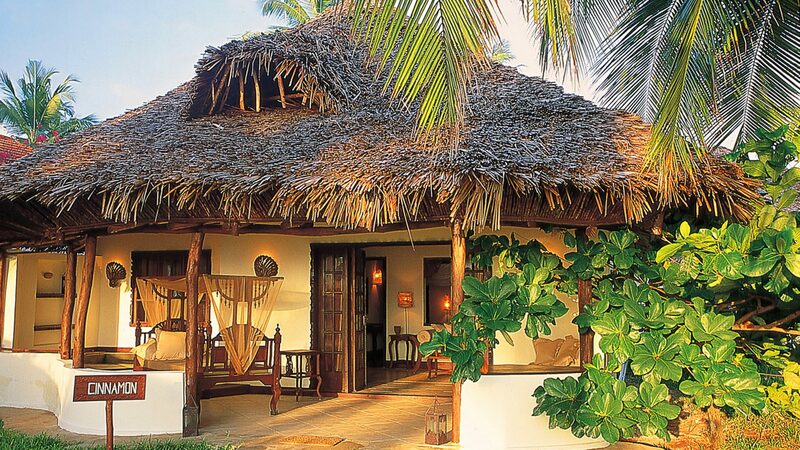 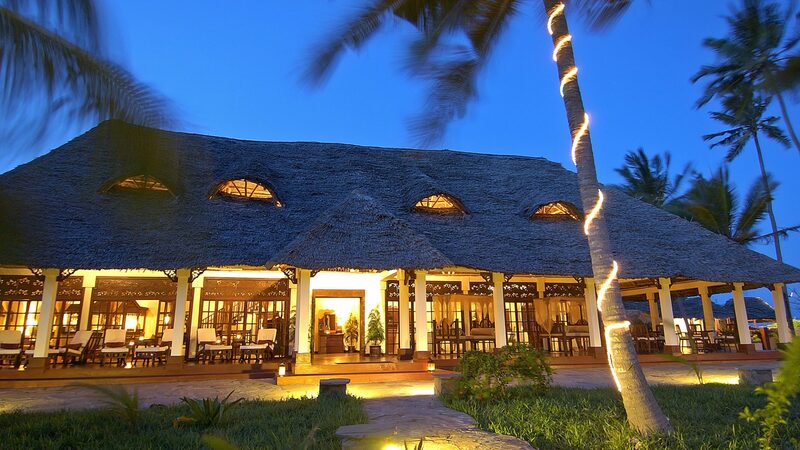 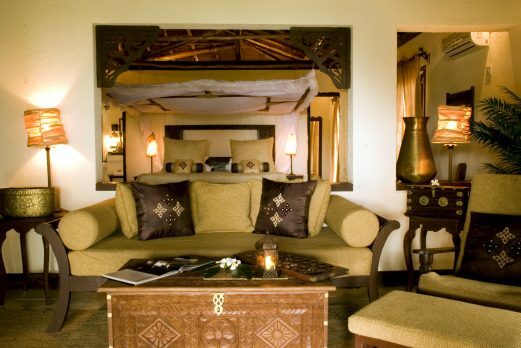 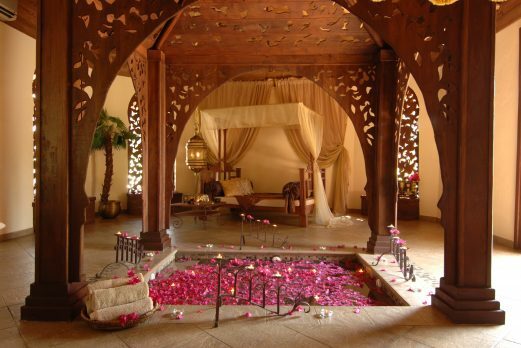 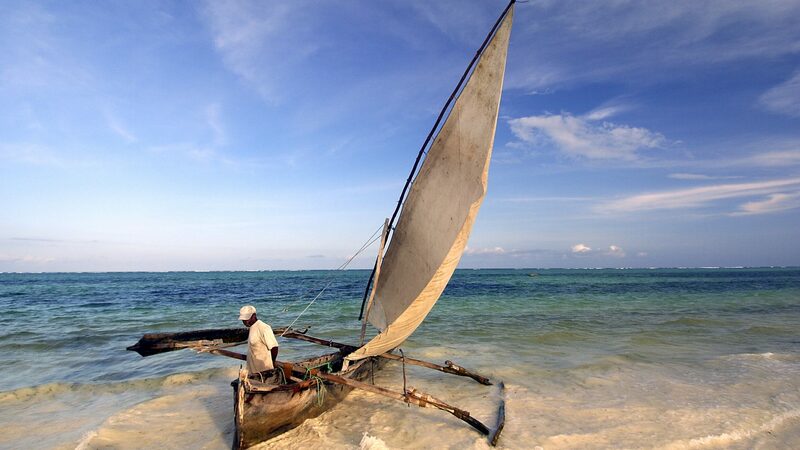 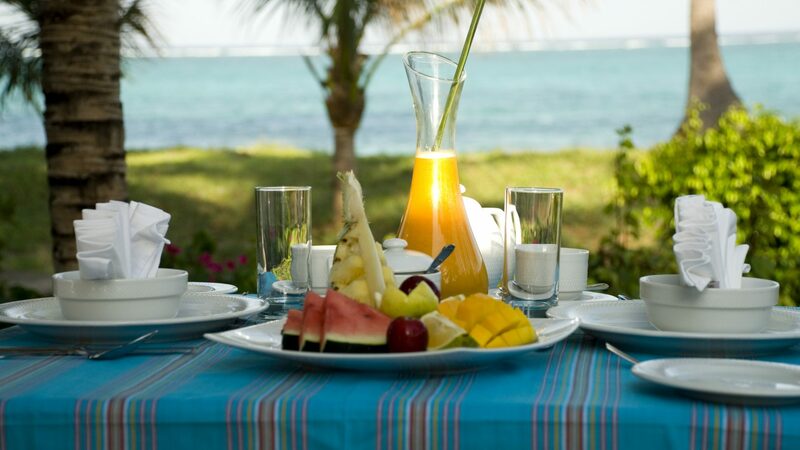 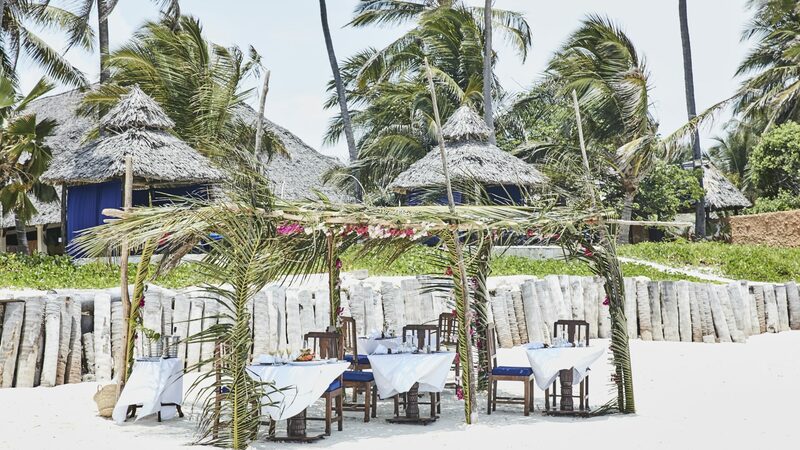 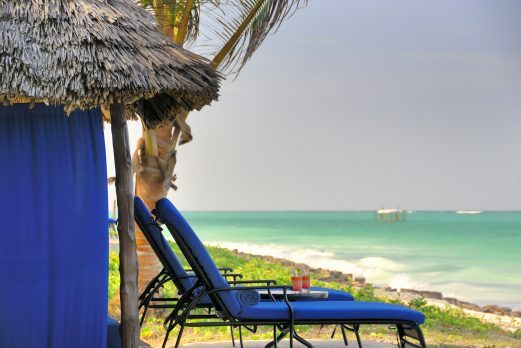 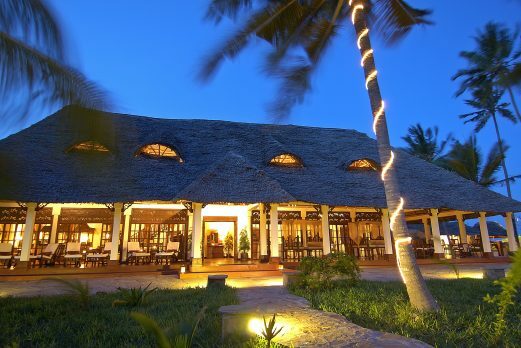 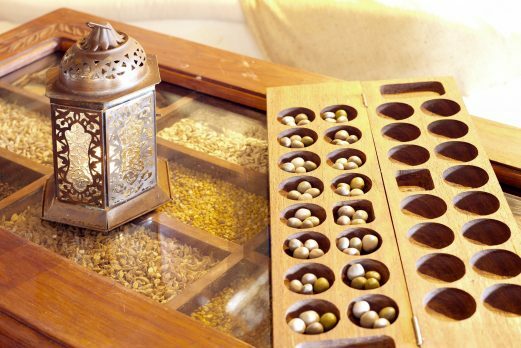 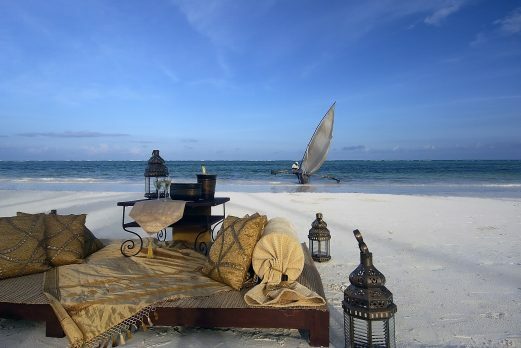 The Palms is a small private and intimate luxury resort with only six villas on the south east coast of Zanzibar. 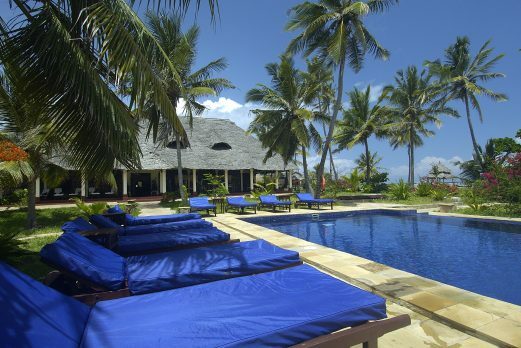 Each luxurious and spacious villa at Palms offers a large bedroom, living room, full en suite bathroom, dressing room, extra room with it’s own en suite bathroom and large furnished terrace with wonderful views of the Indian Ocean. 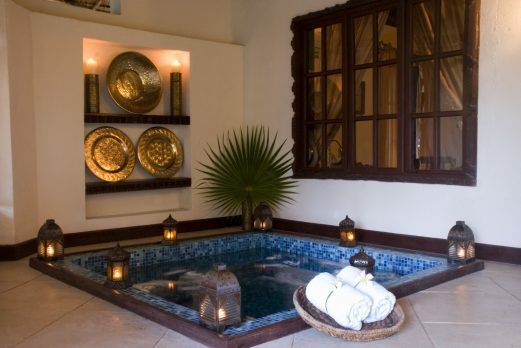 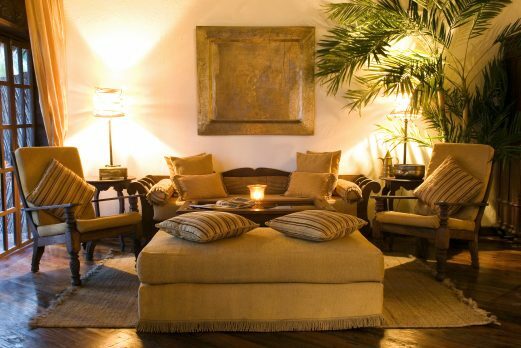 Each villa is air-conditioned and has a private outdoor plunge pool, satellite TV/DVD and telephone. 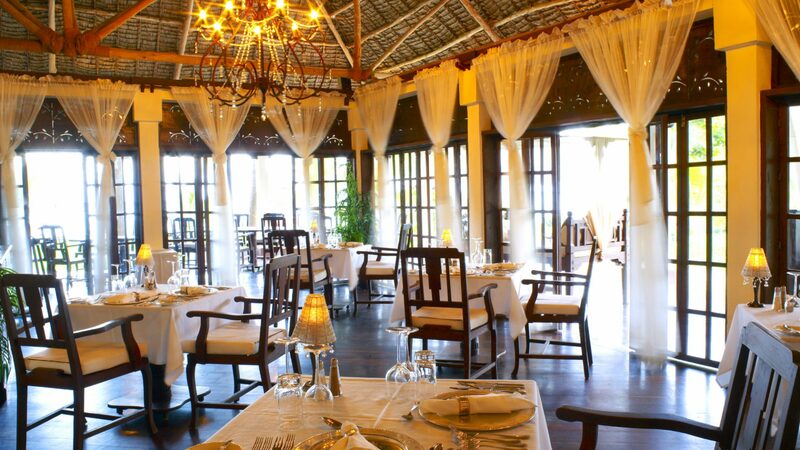 The main public area is the elegant, colonnaded terrace of The Plantation House which includes the bar and “antique-elegant” dining room where fabrics change daily from rust coloured silks to crisp white linens. 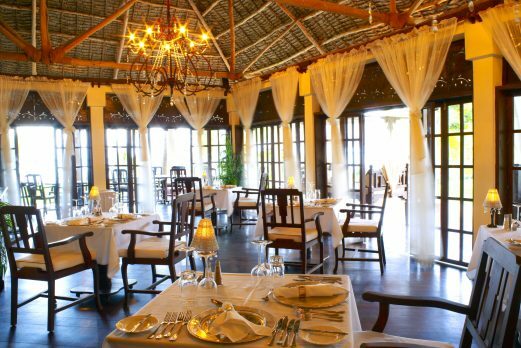 The food and service is of a very high standard. 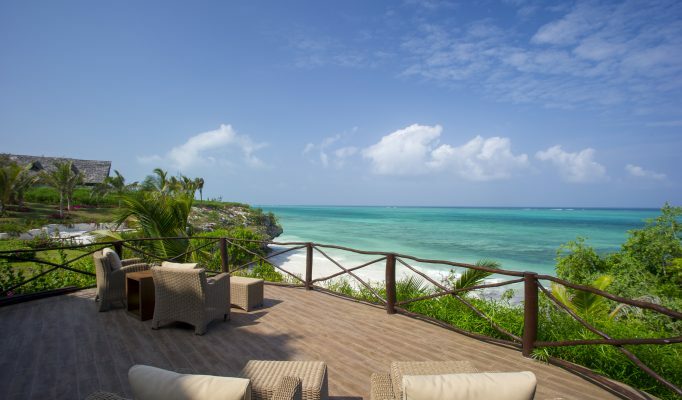 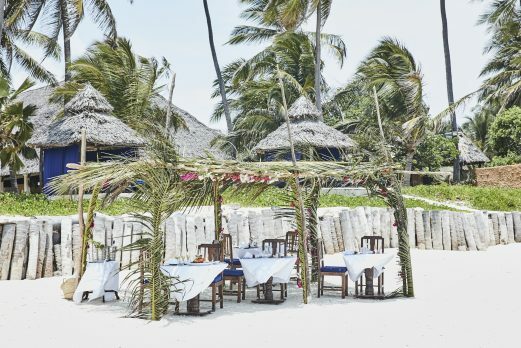 Overlooking the beach, each villa has a private, palm-thatched “bandas” shelter with day beds and carved sun loungers to provide intimate beachfront privacy. 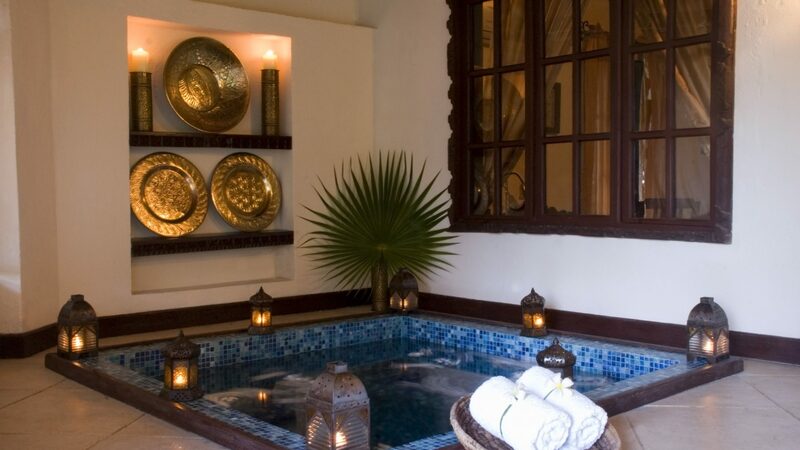 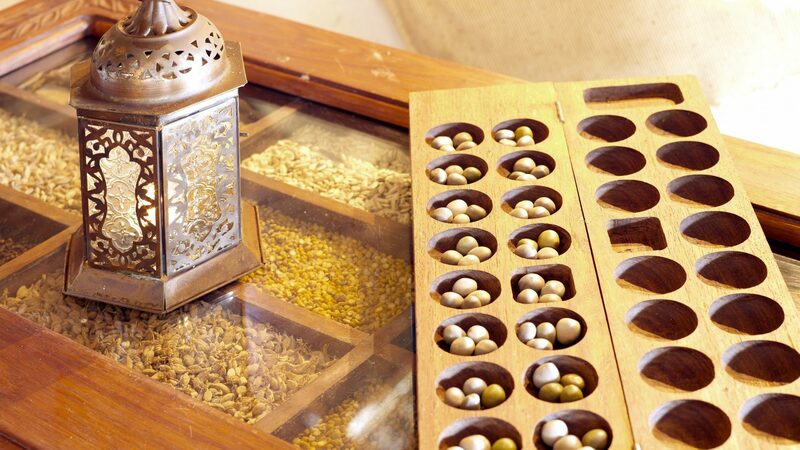 Guests also have access to the “Frangipani” Spa which is located in the beautiful tropical gardens and offers an excellent selection of health and beauty treatments. 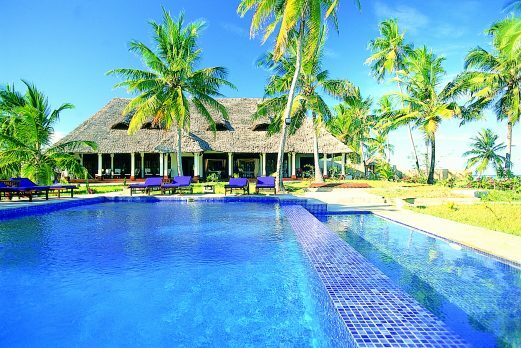 In addition, there is the “Sanctuary” for Yoga and spiritual wellbeing as well as fitness centre and floodlit tennis court. 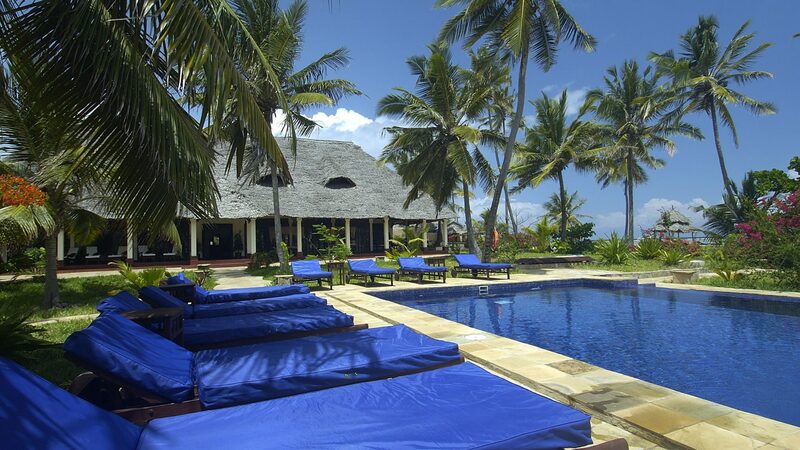 If you wish to go out diving then this can be arranged through the In-house 5* PADI dive operation – Rising Sun Dive Centre. 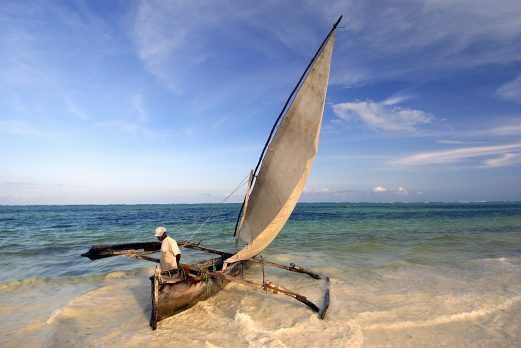 There is also a Marine Activities Centre with windsurfing, sailing, canoes, pedal boats and beach volleyball. 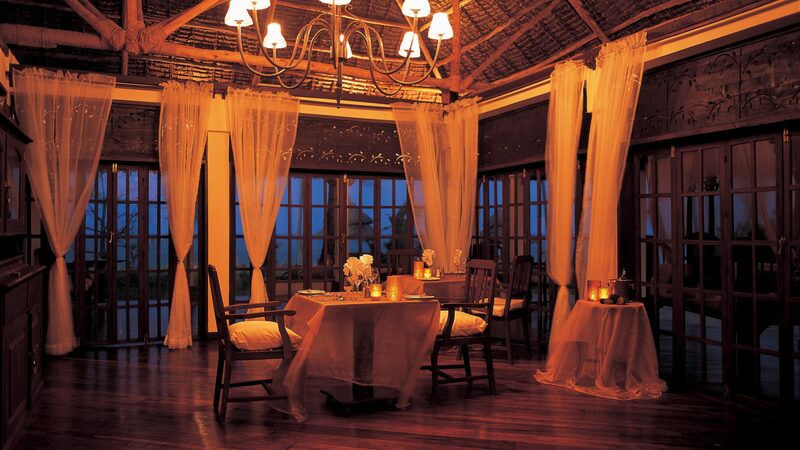 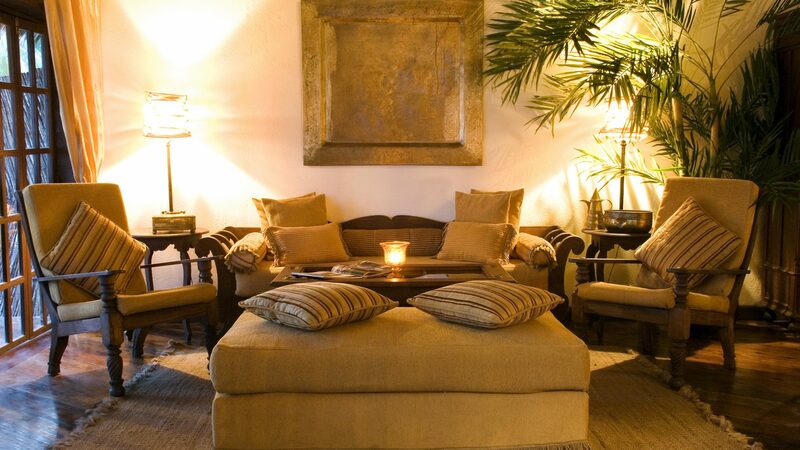 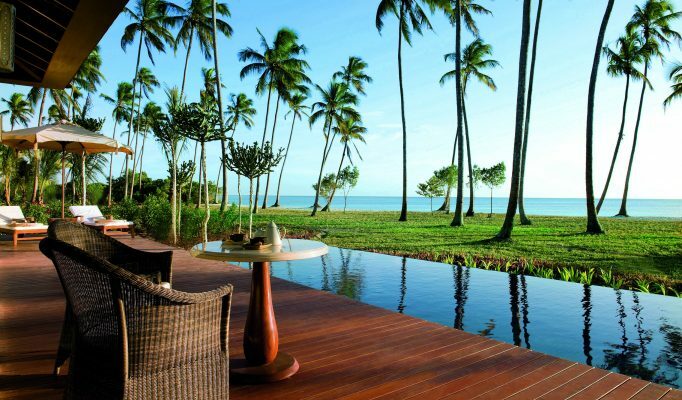 Palms is an exclusive resort and the villas are beautifully designed, perfect for a honeymoon.